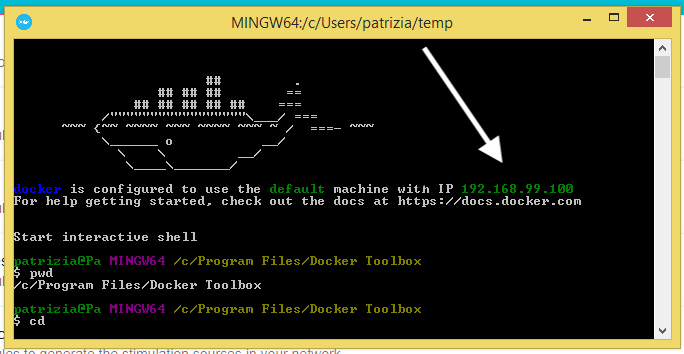 If you don't have docker installed see Install Docker first. 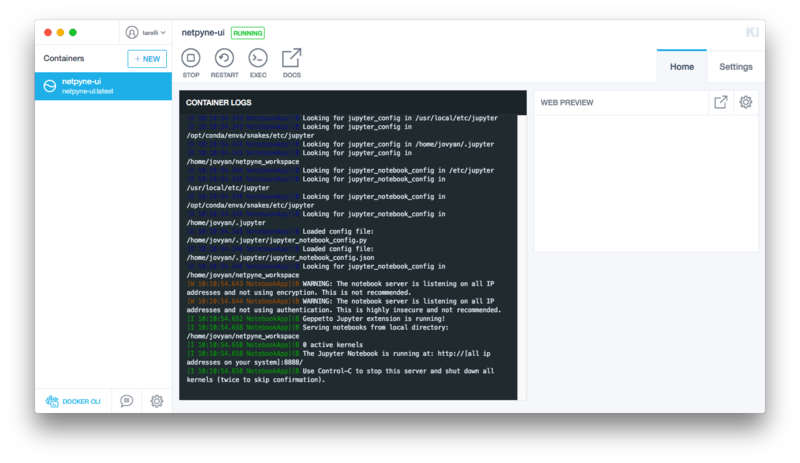 To install locally the docker container of NetPyNE UI you can either use the Kitematic GUI or work directly from the command line. Install the right version of Kitematic for your OS from here. Open Kitematic: search for netpyne-ui and create the container. Start the container and click on Web preview to launch it. No need to ever use the command line, enjoy! and pass that folder to the docker run script (folder_in_your_computer placeholder) above. Once you run your container you can open your browser and connect to http://localhost:8888/geppetto. During the step "Select Additional Tasks", select all the checkboxes as the image here. .
Once the command has been executed you need to open a new terminal or login in your environment again in order to make the change effective. This problem happens when a instance of docker is already running and allocated already that port (e.g. 8888). C:\Program Files\Docker Toolbox\docker.exe: Error response from daemon: driver failed programming external connectivity on endpoint determined_goodall (3cab012238d52f801b88cf745c3ad930043273220c1c76dafc84170a64c0eb02): Bind for 0.0.0.0:8888 failed: port is already allocated. Simplest solution, open the browser and go to the address http://localhost:8888/geppetto , you should see NetPyNe-UI loading if all the rest is fine. and then run again the command to run our docker container. If the previous 2 solutions did not work you can run the command below, that will allocate a different port, in this case 8889. Problem: This computer doesn't have VT-x/AMD-v enabled. This problem happens exclusively on windows and it is related to the Hyper-V feature not enabled in the BIOS machine and probably as well on windows itself. An exhaustive explanation of how to fix the problem is reported by Microsoft at this link. 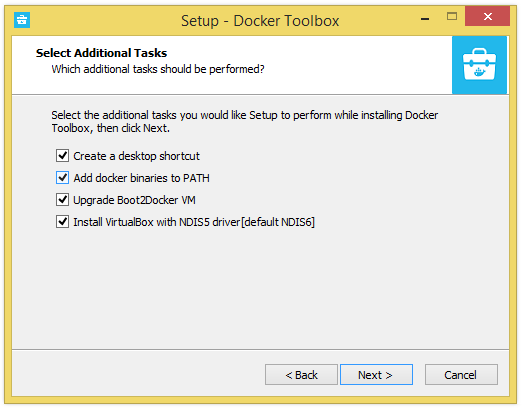 If the tutorial is too long or even after following all the steps docker does not work you might want to switch to our Virtual Image solution using VirtualBox, refer to this link for the installation. This problem happens exclusively on windows and it is related to the fact that docker for Windows allows switching between Linux and native Windows container. For an exhaustive explanation of how to deal with this problem please refer to this link. If you are familiar with the terminal you can deal with this problem running the commands below. After you ran these commands you can try to start the NetPyNe-UI container again. If the tutorial is too long or even after following all the steps docker does not work you might want to switch to our Virtual Image solution using VirtualBox, refer to this link for the installation. This problem is related to restictions on the network you are using or either by the usage of the Windows firewall. First disable your windows firewall, if that does not help talk with your network administrator.